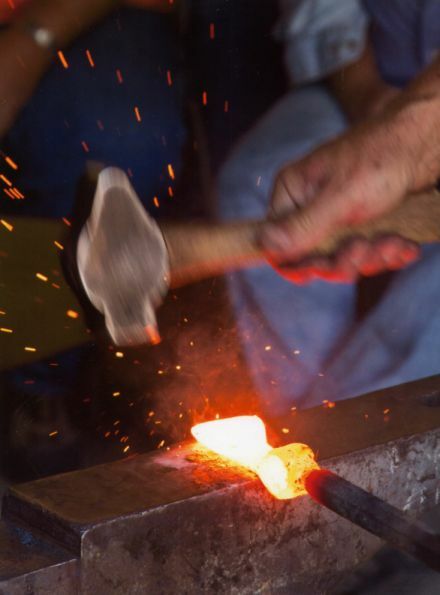 Dedicated to the preservation and advancement of the blacksmithing art and craft. Mark your calendars now for the 2019 BAM Ozark Conference, May 2 - 5, in Sedalia, MO. Check the right column below for more details and registration information. Check out the items for sale. What is BAM? - What are the membership benefits? Need Coal??? Click here for a map of our Coal Stations. The next meeting will be June 22 at 6691 Foster Rd, Houston, MO. Charlie Carpenter will be demonstrating. The trade item is any tool with a wooden handle. Check the BAM events calendar for future meeting schedule. 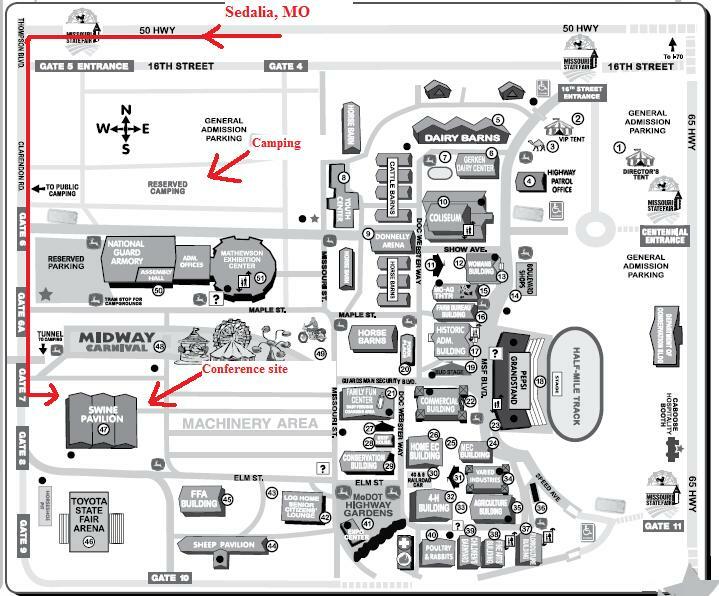 2019 BAM Ozark Conference May 2 - 5 at Missouri State Fairgrounds in Sedalia, Mo. Click on the links to see additional info on each demonstrator. We will be raffling three toolboxes again this year. Please condsider making a donation to the toolboxes. Any tool (hammer, tongs, punches, chisels, etc. ), handmade or purchased, or forge supply item (flux, gloves, safety glasses, soapstone, etc.) will be welcome. This raffle is always a popular event at the conference and contributes a sizeable amount to our conference income. Please bring your touch marks to the conference. We are going to have aluminum plates with numbers that you can stamp with your touchmark and then write your name down on the sheet so we can get a library of all the touch marks. BAM Newsletter Archive **All issues 1983 to current issue.